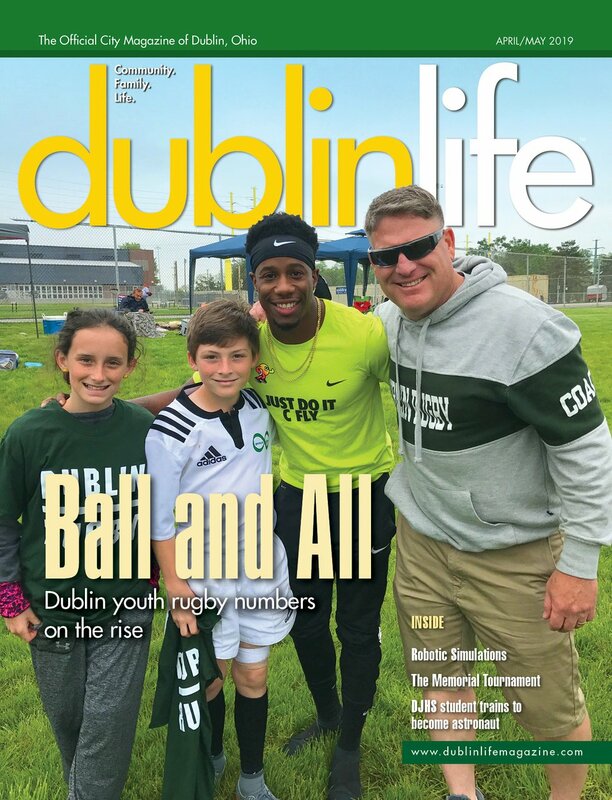 Ron Geese’s impact and influence on the Dublin community did not happen by chance. In his family, serving your home was an expectation, says Geese, a Dublin resident for 69 years with 20 years of service under his belt. After all, six generations of Mitchells (Geese’s mother’s maiden name) and five generations of the Geese family have proudly called Dublin their home. Carrying on that tradition, Geese served – and continues to serve – Dublin proudly. Dublin Life: You moved to Dublin when you were 6 months old. What prompted your parents to move to the City? Ron Geese: We moved next door to my aunt and uncle, Helen and Clark Coffman. We moved to be back with the family. My dad was in business, and the rest of my aunts and uncles all had farms. So I was the fifth generation of the Geese family, who moved in during the 1840s from the Coshocton area, to live here. We moved in and built a home on Frantz Road. By the time I moved at 6 months, the house was done. It was right across the street from Max & Erma’s. DL: What was it like growing up in Dublin at the time? RG: Everything was very simple. We were a village of about 450 people. I graduated in 1963 with a class of 45. From the sixth grade on, I worked at the Dublin Food Market, which was really one of the only grocery stores. It was across from the Dublin Village Tavern. I was part of the social life in Dublin, I was a Mitchell and a Geese. My family was very active in the community. It was a simple, nice place. Most of us long-timers were related to one another. Life was pretty simple. I worked up through college, started college and saved enough money to go to The Ohio State University, where I studied marketing. DL: You went through the Dublin school system. What was that like? RG: It was very simple. We had classes of 30 or 40. I enjoyed school. It was just a little country school (the 1919 Building, located on West Bridge Street), but everyone was proud of it. We were called the Shamrocks. Our band was so small that, as a seventh- and eighth-grader, I was in the high school band – although everyone in seventh and eighth grade couldn’t play very well. We just had our 50th reunion. Most people have moved away, but some stayed. We stayed. My family was very much instilled in us that you grow up in the community, you’re proud of it and you serve it. Dublin was a sense of place for residents in those days. DL: You served on City Council for six years. What prompted you to run for City Council? RG: First, it was Village Council. We were starting to grow. Muirfield had been rezoned. I wanted to be a factor in the decision-making process – what Dublin was going to be like. I had that background and knowledge that I wanted to give. DL: What lessons did you take away from that time on City Council? RG: That Dublin did mean a lot to my family. This is where I played as a kid, as well as all the grandkids and all my children. This is where my grandparents’ farm was. By serving, I was an active citizen in Dublin. DL: You were awarded Dublin Citizen of the Year in 1997, and you were an honoree of the Dublin Irish Festival in 2001. Did these honors come as a surprise to you? RG: They were all surprises. While I was active in all the organizations, (my wife, Anne Geese) and I were still surprised. The citizens recognized us for the quiet – and outspoken – work. DL: What’s your advice to someone who wants to get involved and be an active member in the Dublin community? RG: Volunteer. Find what area you feel passionate about and that you have an expertise, knowledge and desire in. Serve, and just ask for what you want. Don’t sit back and let everyone else do the work.